The Russian Air and Space Force (VKS) has taken delivery of several batches of a new air-launched rocket for trials. The S-8OFP offers a greater range and a heavier warhead than the standard S-8 weapon carried by Russian attack aircraft and helicopters. But although it has a "smarter" digital fuse, it is still an unguided weapon. 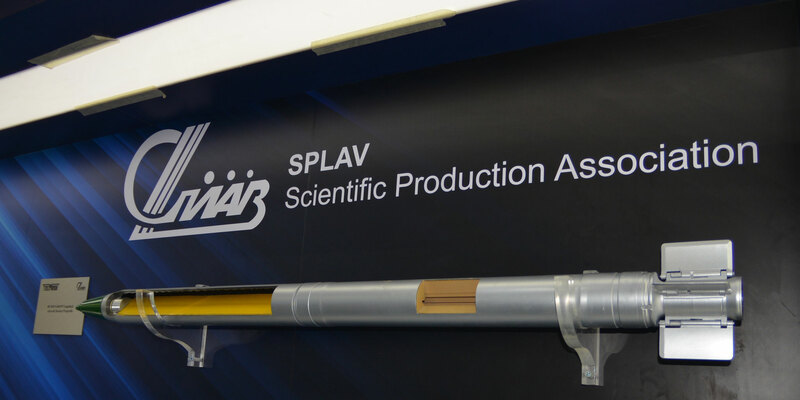 Developed by Splav State Research and Production Enterprise (NPO Splav), a member of the Techmash holding company, the S-8OFP is based on engineering solutions tried on the Tornado-G (reworked BM-21 Grad) 122-mm multiple launch rocket system (MLRS) that has been operational since 2012. It runs on the same fuel and is manufactured using the same production tooling. Work on the new weapon commenced 10 years ago and it was demonstrated in public for the first time in 2014. Keeping the overall dimensions of the S-8 predecessor, the new 80 mm caliber rocket fits into the standard 20-tube B8M-1 and B8V20-A pods, carried by all contemporary Sukhoi, MiG, Mil, and Kamov tactical aircraft. According to the handouts, the S-8OFP can be used against “individual and area targets” in any weather conditions, day or night. Its warhead is effective against infantry, unprotected or armored vehicles, located in the open, field fortifications or shelters, as well as against shipping. The maximum firing range is given at six kilometers, but for practical purposes, launches are made at a distance of one to two kilometers for a meaningful dissipation of projectiles in the volley. Whereas the S-8 rocket employs motors running on solid fuel (ballistite powder), the newer design makes use of a more compact engine running on composite propellant, a mixture of oxidizer, binding agent, energetic compounds, and plasticizers. As a result, the size of the S-8OFP’s warhead can be doubled to represent more than half of the total rocket weight. Both the original and the OFP are fin-stabilized rockets, but differ on how aerodynamic stabilization is achieved in flight. A set of six high-span folding blades at the rear fuselage of the S-8 that flip forward on launch has been replaced on the S-8OFP by four curved fins wrapped around the nozzle of the rocket to match its diameter when stored. On launch, they flip sideways to open. They are set at an angle to the ram air so as to make the projectile rotate axially in flight for additional spin-stabilization. The original S-8 had more than a dozen warhead variations. Most of them go off on impact or use a radio ground-proximity fuse to trigger the warhead five to 30 meters above the ground surface. In recent interviews, officials from Techmash have said that the S-8OFP’s lethality is five to six times greater and that depending on fusing the rocket can either explode before the target, when hitting it, and after having penetrated it. Techmash recently unveiled digital fuses that can receive and process information from outer sources, including the launching platform. This means that the new rocket can be employed more efficiently against a wider spectrum of targets, including hardened and armored. It is believed that this kind of operation is being combat proven in Syria using Kamov Ka-52 helicopters equipped with advanced targeting systems. Extensive trials of the S-8OFP continue at the MoD’s firing ranges, to confirm full compliance of the new weapon to the customer specification. Their completion is expected shortly, with a formal acceptance into service at the year-end.